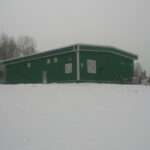 Pic Mobert First Nations Status: Completed 2016 Consultant: J.R Cousin Consultants Ltd. 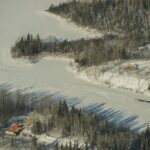 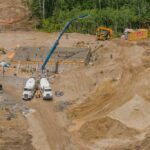 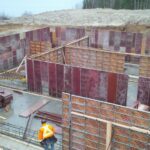 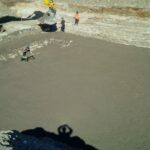 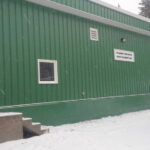 The scope of work on this project was to consolidate 2 existing water treatment facilities by constructing a new water treatment plant to service the Pic Mobert First Nations Reserve. 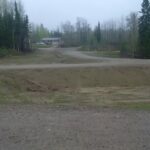 Approximately 3 kilometers of new water main piping was required to connect the north community to the south community and 14 fire hydrants were to be added to the existing water distribution throughout the 2 community sites. 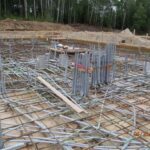 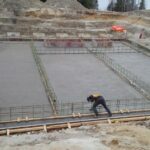 The building consisted of cast in place concrete below grade that formed a 5 chamber reservoir, with a pre-engineered steel structure above. 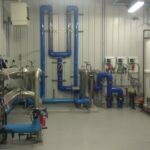 A 250mm raw water intake was installed into White Lake and pumped into the plant via a low lift wet well. 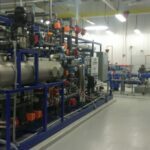 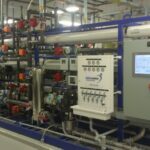 The plant consisted of a dual system treatment train assembly comprised of complete self-cleaning physical screen pre-filtration units, complete nanofiltration units, clean in place systems, and UV disinfection. 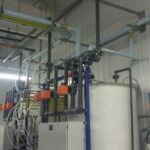 Each train designed with independent PLC, control panels, chemical feed systems, instrumentation and metering. 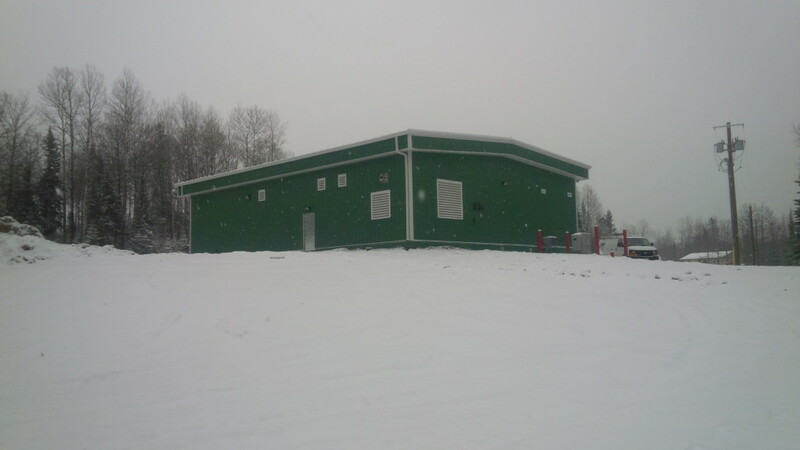 The building design also included supply and installation of a new laboratory complete with an inventory of testing equipment, all pumps, valves, piping, plumbing and heating systems, new electrical distribution MCCs and VFD’s etc. 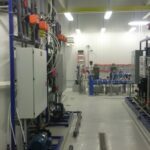 Standby power generation was implemented in the form of a 200kW diesel generator with an automatic transfer switch. 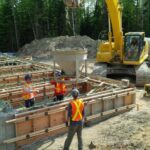 Work included ductbanks, all yard piping, forcemains, watermain distribution and road work. 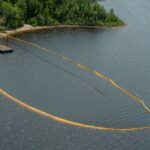 Extensive blasting was required for the watermain distribution and the employment of directional drilling was used to cross under White Lake as well as 4 CP Railway crossings. 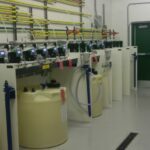 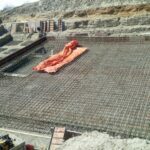 Once the new treatment plant was online, the existing water treatment facilities were decommissioned and salvageable components were provided back to the owner as requested.